Carlo Maderno was responsible for the façade of St. Peter’s and therefore, one of the last architects. 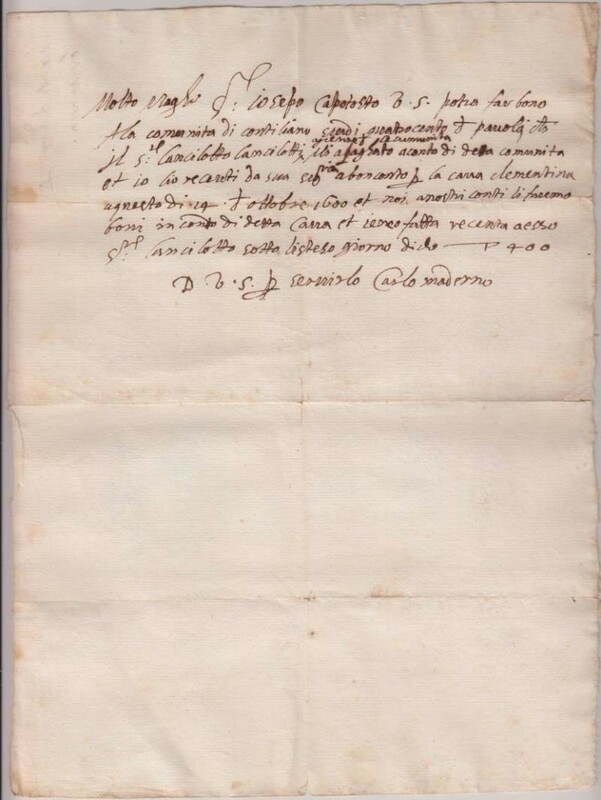 This signed letter is a valuable addition to the Papal Artifacts’ Collection. Carlo Maderno, a Swiss-Italian architect, was born in Ticino in 1556, and is remembered as one of the fathers of Baroque architecture with his most important work being the facades of St. Peter’s Basilica, Santa Susanna and Sant’ Andrea della Valle. He began his career in the marble quarries and moved to Rome in 1588 with four of his brothers to assist his Uncle Domenico Fontana. He worked as a marble cutter. In 1596, he designed the facade of Santa Susanna, a project spanning six years. Wikipedia says the structure is a dynamic rhythm of columns and pilasters, with a protruding central bay. 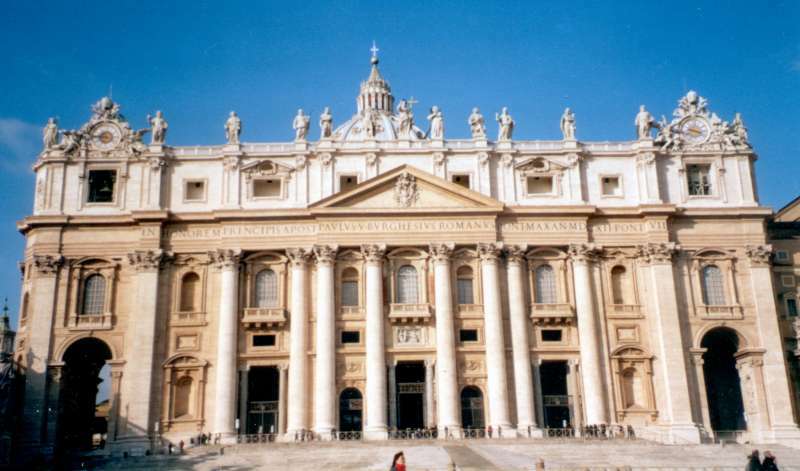 Santa Susanna won the attention of Pope Paul V, who in 1603 appointed him chief architect of St. Peter’s. In this work he was forced to modify Michelangelo’s plans and provide designs for an extended nave with a palatial façade. When completed in 1612, it allowed for Papal blessings from the balcony above the central door. Although criticized for blocking the view of the dome when seen from the Piazza, he would not have been given as much freedom in the design of this building as in the others. Most of his work continued to be the remodeling of existing structures. His masterpiece was Santa Maria della Vittoria, a work spanning the years 1608 – 1620. A respected account of Carlo Maderno in English is Rudolf Wittkower’s, Art and Architecture in Italy, 1600 – 1750 (1958; 2nd ed. 1965. 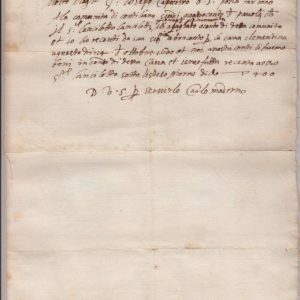 Carlo Maderno died in Rome on January 30, 1629.